This is the Teaching Materials for Exercise"Mt.Bottle Gourd"(English version). 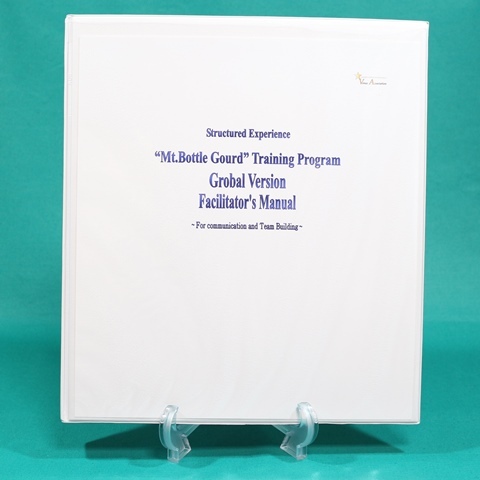 The materials contains a Simple operation manual, but we recommend that you use the manual(Exercise “Mt.Bottle Gourd”　Facilitator's Manual(English version) or Download version manual which details are written. A consultant and a training organization need a loyalty contract. 実習「ひょうたん山」とは　What is Exercise “Mt.Bottle Gourd”? “Mt.Bottle Gourd”is a learning activitie for human skill development and global edcation. This training program is designed to get group members to bring fragmentary information together and sort and organize it in order to solve a given task. During this training, communication and leadership among the group members will become so active that energy, concentration and comprehension as a group will be enhanced. Each of the members may also be so active in participating in the training such that he or she will often intensify his or her concentration through the desire to solve the problem and comprehend other members with the aim of solving the problem. Regardless of whether the group members succeed in solving the problem or not, they will often come across valuable experiences and learning tools through the training. They will also become aware of many of the skills that are necessary for effective communication, not in a superficial manner but with genuine feeling and effectiveness. 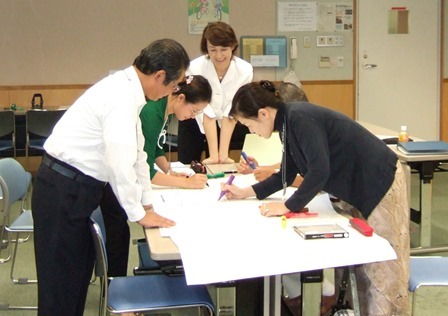 We provide Japanese version, English version, about "Facilitator's Manual". And We provide Japanese version,English version, and Spanish version about "Information Cards Set". Please use as global education and language training materials!